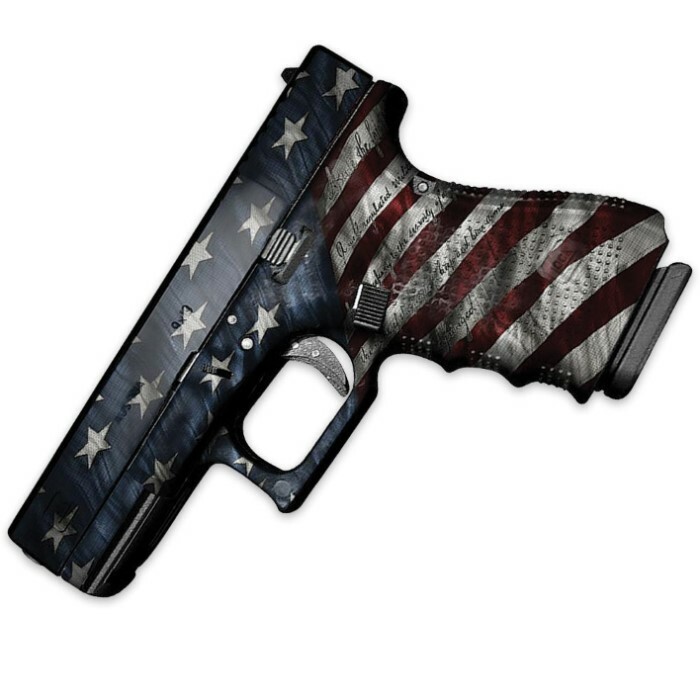 American Flag Pistol Skin | BUDK.com - Knives & Swords At The Lowest Prices! Give your pistol, revolver or handgun a makeover that will set it apart and let everyone know that you’ve put your personal stamp on your weapon! 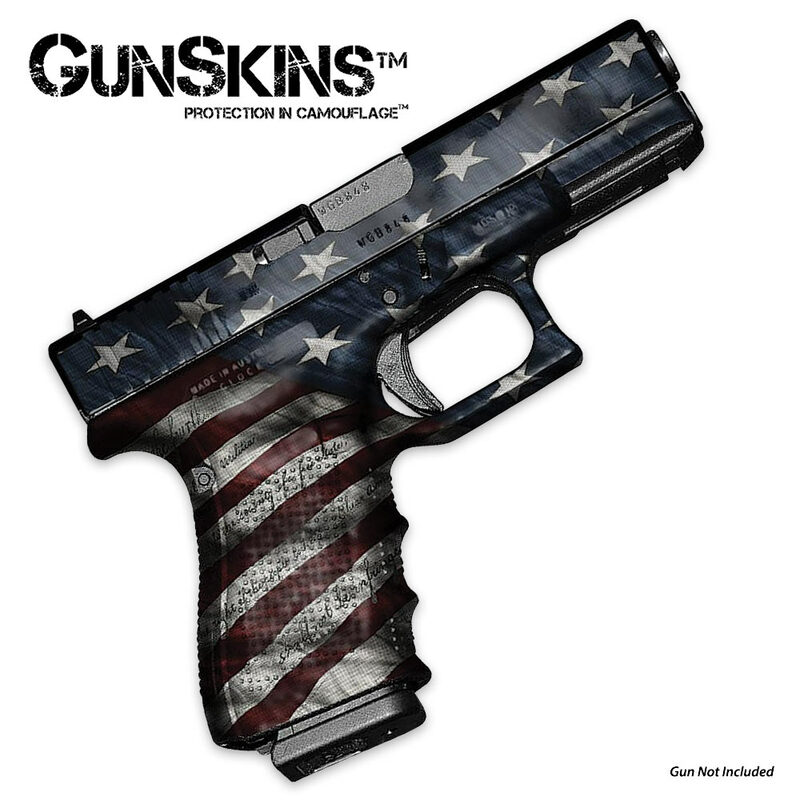 This fun, waterproof American Flag theme wrap will also protect the surface of your gun from scratches and dings. It is easy to install and easy to remove, leaving no residue behind. The vinyl kit comes with pre-cut pieces for the left and right sides, and one additional piece for the slide or barrel. The kit is generic and requires you to trim along the edge of your gun for the perfect fit.